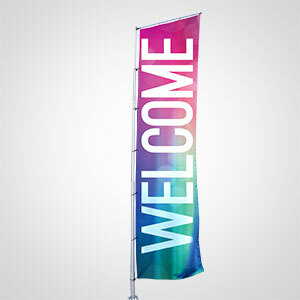 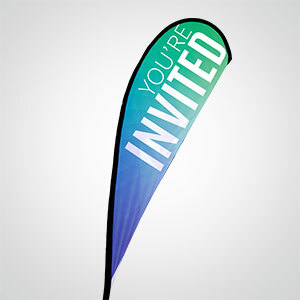 These 2’ x 8.5’ nylon fabric “feather” flags banners are great along driveways and roadways to draw attention to your church. 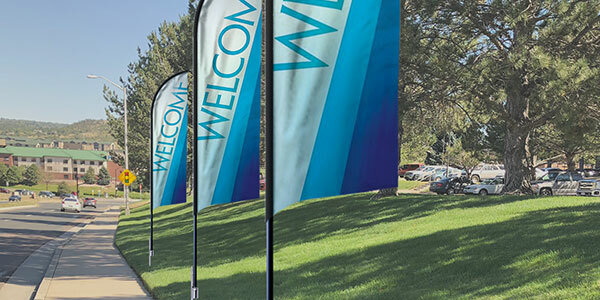 The teardrop shaped nylon fabric flags provide a fresh look with graphics that stay taut so they are easy to read even in the wind. 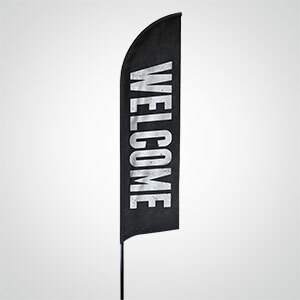 This giant 3.5’ x 13’ flag stands 17 feet tall on it’s flagpole and is ideal for parking lots, outdoor events, conferences and more!